In 1999, we had a vision to reinvent CRM in the cloud. And a new technology model was born. What is your annual revenue? When is your quiet period? When is Salesforce's fiscal year-end? When is Salesforce's next quarterly earnings release? Where is your latest investor presentation? Where can I find your latest ESG report? When was Salesforce's IPO (initial public offering)? Has Salesforce ever executed a stock split? How can I access all of Salesforce's SEC filings (proxies, prospectus, quarterly filings, etc.)? How can I purchase Salesforce shares? How can I get a copy of the annual report? When and where is the Salesforce Annual Stockholders' Meeting? Who serves on Salesforce's Board of Directors? Who are Salesforce's auditors? Whom do I contact regarding lost certificates or an address change? What is Salesforce's CUSIP number? What is Salesforce's international stock identification number (ISIN)? 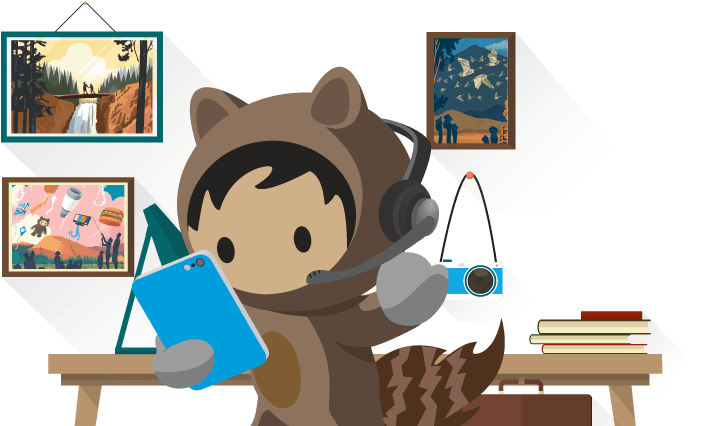 In fiscal year 2019 (ended January 31, 2019), Salesforce reported $13.28 billion in total revenue, representing 26% growth year-over-year. When is your quiet period? Our quiet period begins two weeks before the end of our fiscal quarter and remains in effect until our next earnings announcement. During this time, we have a strict policy of not meeting with investors or engaging in conversation with investors. When is Salesforce's fiscal year-end? Salesforce's fiscal year ends on January 31. When is Salesforce's next quarterly earnings release? Salesforce is on a fiscal calendar with a year end of January 31. The actual date of each earnings release is announced the first week of each quarter. Where is your latest investor presentation? You can find our latest annual Investor Day presentation here. For quarterly presentations, visit our Financials section. Where can I find your latest ESG report? You can find our latest Stakeholder Impact Report here. You can find more information on our corporate governance practices here and our environmental and social practices here. When was Salesforce's IPO (initial public offering)? The initial public offering of 10,000,000 shares took place June 23, 2004, excluding an additional 1,500,000 shares covering over-allotments. (Morgan Stanley, Deutsche Bank, UBS Warburg, Wachovia Securities, William Blair); Offering Price: $11 (pre-stock split). Has Salesforce ever executed a stock split? Yes. Salesforce executed a stock split in FY14 (calendar 2013). You can find more information on the stock split here. How can I access all of Salesforce's SEC filings (proxies, prospectus, quarterly filings, etc.)? Click here to review Salesforce's SEC filings. How can I purchase Salesforce shares? Salesforce common stock can be purchased in the open market through any registered broker. Salesforce does not offer direct share purchase from the company. A copy of the current annual report can be downloaded from the Annual Reports section of our website. If you would like a hard copy, please send an email to investor@salesforce.com, but please consider the impact on the environment. When and where is the Salesforce Annual Stockholders' Meeting? We generally hold our Annual Meeting of Stockholders in June. Additional information can be found in our proxy statement for the relevant year. Who serves on Salesforce's Board of Directors? Whom do I contact regarding lost certificates or an address change? What is Salesforce's CUSIP number? Salesforce's CUSIP number is: 79466L 30 2. What is Salesforce's international stock identification number (ISIN)?